← Interview with Karilyn Bentley, an author who writes Fantasy with a Touch of Funny! She tells us how she creates her wonderful characters. E: Today, we have Mary Morgan joining us. Welcome, Mary! I am captivated with your characters – from reading the Order of the Dragon Knight’s series to the Legend of the Fenian Warriors series. You can’t imagine my devastation when you finished the first series. You made the characters so real. It was as if I had lost a lot of friends! So when you brought them back, weaving them into the Legends of the Fenian Warriors, I just sat with my Cheshire cat grin. Before we get into the interview I want to share the link to purchase the complete series with your readers. I saw the bundle on Amazon.com at a great price. Welcome to a world of medieval romances, which will sweep you across time to the Highlands of Scotland and the shores of Ireland. Where warriors will fight for redemption and for the women they love. This is the world of the Dragon Knights of Scotland! Duncan MacKay encounters the woman from his dreams, literally. She is from the future, somehow has his lost sword, and can talk to the Dragon who is able to lift his family’s curse. When an ancient sword lands at Brigid O’Neill’s doorstep, she starts dreaming of a rugged Highlander. Her quest to return the sword will alter everything she believes. Stephen MacKay is plagued with visions that threaten to destroy his soul. When Aileen Kerrigan falls through a time tunnel, he vows to keep the beautiful, half-blooded fae safe. Aileen, armed with the medallion her mother gave her, and a matching one belonging to a long dead knight, is thrown into the past. 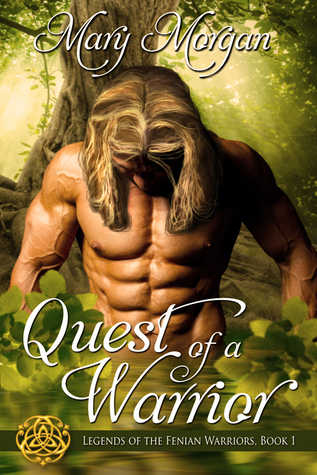 When she encounters a handsome but surly warrior who is on a quest, she fears her future could be entwined with his. When Alastair MacKay rescues a woman from a slave trader, he steps back into a world filled with magic–taking on the role of protector and leading him on a journey to confront his greatest regret and fears. Research assistant, Fiona O’Quinlan loves translating ancient artifacts at Trinity College. When she falls asleep on an archeological dig, she awakens in another time. Yet, she is unprepared for the danger ahead–losing her heart and soul to Alastair “Beast” MacKay. Angus MacKay is back on Scottish soil and encounters a woman who can wield a sword as mightily as his warriors, and takes her captive. With each passing day, the fire dragon inside him roars to claim the one woman fate has destined for him. Famed mystery writer, Deirdre Flanagan, is on a vacation to Scotland, when she steps through the mists and enters into a skirmish alongside a Highlander. However, the fight has only begun, and now she must battle Angus as well as evil in order to claim the love of this Dragon Knight. Crusader, Adam MacFhearguis is on one last quest to the standing stones in Scotland where he seeks to bury the past. However, a silent prayer sends him to an unknown future and to his beloved Meggie. Margaret MacKay lives a life in the future without the memories of her past. With each passing day, she yearns to learn more from the stranger in her time. Will love free the bonds to unite the two lovers who were doomed centuries ago? Or will evil finally claim victory over the Dragon Knights? E: Now for the interview questions. You have just received a call from your publicist. They have asked you to write a trilogy, carte blanche, no limitations except appropriate guidelines for a full-length novel in the genre of your choice. First reaction? M: My first reaction was a full jump into the air. This actually happened with my second series, Legends of the Fenian Warriors. Yet, it was a phone call from my editor. She then convinced me to do four stories, instead of the trilogy. The fourth book will be released late spring/early summer, Destiny of a Warrior. E: I want you to be a bit analytical here. What starts rolling around in that head of yours? That is, what sparks ignite the idea of a story? Please elaborate – no simple answers here. M: I’m always drifting in and out of a story, Eileen. I’m a constant daydreamer. The original spark of all my stories begins with history—from reading non-fiction books and watching historical documentaries. I’ve always had a fascination for the past. It first started with the book, Hawaii, by James Michener. His detailed account into the beginnings of the Hawaiian Islands was fascinating and held me spellbound during my seventeenth summer. Second spark is my deep appreciation and love for Celtic and Norse mythology. I’ve read the legends for years, imagining different scenarios. In my humble opinion, I believe all myths are based on some facts. In addition, history is only as good as the bard telling the tale. Third spark comes from my love of traveling to Scotland, Ireland, Wales, and England. The magic and beauty of the land inspired me. For example, on my first trip to Scotland, I was sitting on a boulder in the highlands at dusk, surrounded by the bleating of sheep and the mists. My first series, Order of the Dragon Knights, came to life within my mind that summer evening. E: Do you use parts of dreams you have had, experiences with ‘nasty’ bosses (real people), your unconscious, personal emotional feelings such as jealousy, fear and love to write realistic characters? M: Characters always appear to me in my dreams, especially if I’m leading them down a storyline they do not approve. Often times, a glimmer of another plot will take shape within the dream. I’ve been known to alter an ending based on a powerful dream, and it worked out beautifully. As far as personal experiences weaving their way into my stories? Most definitely! I draw from emotions, but allow for the characters’ personality to take over. I don’t want to inject my reactions, but the characters’ emotions. You could say that my feelings are a template for the character. If I find the emotion is fitting to me and not the character, it’s time for a rewrite. E: Do you follow a plan how to develop characters? M: There’s always a plan in the beginning. I start with the basics—height, hair and eye color, background, temperament and flaws. Though on the last, they may not emerge until later on in the story. Some characters are multi-layered and refuse to share much about them. E: Once you think about a character, is there a thread you use to flesh them out? M: No, Eileen. I tend to let them reveal the information to me. I only had one problem with a character. She refused to emerge from her shell, kept talking to herself, and didn’t like to interact with anyone. One day, I left my laptop and walked away. As a writer, I was frustrated. After a sit down conversation with this character (yes, this actually happened. Remember, I daydream a lot), I came to the conclusion that she was an introvert and extremely shy. There was a pivotal event in her life that caused her to become withdrawn. Afterward, the story exploded, along with the heroine’s voice. Who was she? Fiona O’Quinlan from Dragon Knight’s Axe, Order of the Dragon Knight’s, Book 3. E: Which takes me to my next question, how restraining are you, when a character begins to tell their story? Do you let her talk? See what she has to say? Do you have to reel her in when she takes you ‘plan’ in another direction? Do you discover the character as she/he is revealing themselves or create them as you want them? M: I cannot restrain my characters. I can try, but it never works out well. I might be controlling in my reality, but my fictional world is one where the characters can have free rein. If I want to steer them in another direction, I’ll add another plot or scene to the story. Most of my characters reveal themselves in stages throughout the story. I begin with my own template and they emerge with their own. Usually after several chapters, I can get a good feel for the character. There was only one that chose not to reveal everything about his life to me. He did it in layers. And I’m talking several books—a total of four. It was Aidan Kerrigan who first appeared in Dragon Knight’s Medallion, Order of the Dragon Knights, Book 2. I never knew he was a Fenian Fae Warrior until he stepped through the airport to greet his daughter, Aileen. It was definitely a shock, but he continued to surprise me even more through-out both series. E: How do you figure out what your characters look like? Is it important to know where they live, when they live, what educational level they have? If so, at what point in the novel development does this become important? M: I begin with a template of gathering as much physical qualities about them as possible, including where they live and any educational background. It’s important for me to visually see them in my mind. If I can’t, then I’m unable to begin the story. This is all part of my process of being a plotter, but only in the beginning of the story. E: How do you balance story-structure, theme and character building? Are they so interwoven a writer looks at them all at once? M: With each new story, I start with a leather journal. As you know, most of my books are in a different time-period. A leather journal helps me to get a sense of the old world. I begin with the basic outline of the story and theme. From there, the main characters emerge. It’s a layered, balanced building process. By the time I’m finished, my fingers are eager to start at the keyboard. E: Do you develop one character at a time? That is, you know what type of character you have as your main protagonist and develop the others to build conflict and arc tension? M: Yes. I always start with the main protagonist—or two. There have been two stories where both characters emerged forth seeking development. From there, others weave their way into the story, adding suspense, comedy, or tension. E: In your process, does the backstory and character conflict support the story, or do you create the story to support the backstory and character conflicts? M: Interesting question, Eileen. I believe with both my series, Order of the Dragon Knights and Legends of the Fenian Warriors, I created a story to support the original backstory and character conflicts. Yet, with my Highland Holiday Romances, the reverse is true: the backstory and character conflict supported the story. E: Please use one of the series you’ve already written. Where do you get your inspiration for characters? M: I’ve based my own fictional account of the Legends of the Fenian Warriors on the mythology of the Tuatha Dé Danann—one of the invasions of Ireland. They were known as the Shining Ones or the Fae. With my warriors, there is nothing diminutive with these heroes. They’re ancient, extremely tall, and commanding. E: When do you do a detailed character workup in the process of writing a story? Or do you? M: I do a detailed character sheet at the beginning of each story. It’s the first item on my agenda, along with finding names for the main characters. E: At what point does your fictional worldbuilding begin? Is it much like how you build your characters? M: I begin with a template of the world, especially my Fae realm from Legends of the Fenian Warriors. I took months envisioning this mystical land. With each new story, a new layer or element was added. Their world was vast and lush, so I included a Glossary of the Fae Realm in each of my books. For the Order of the Dragon Knights, I built my world on my travels to Scotland. I drew from my visual sensations of traveling across the land and studying the history of the country. Thank you, Eileen, for allowing me to share my writing process with you! E: Thank you, Mary. Your answers are insightful. Now for those of you who are reading the Legends of the Fenian Warriors, Mary will pop by in April to share the cover and hopefully an excerpt of the fourth book of this series. I eagerly await her next series! Purchase Links embedded in covers. Mary’s passion for books started at an early age along with an overactive imagination. Inspired by her love for history and ancient Celtic mythology, her tales are filled with powerful warriors, brave women, magic, and romance. It wasn’t until the closure of Borders Books where Mary worked that she found her true calling by writing romance. Now, the worlds she created in her mind are coming to life within her stories. 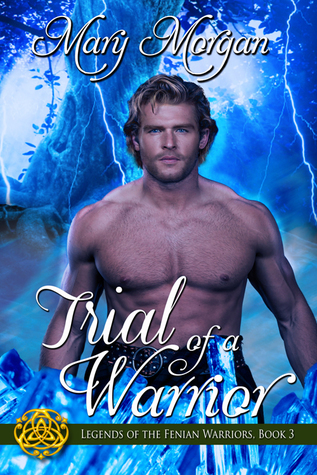 This entry was posted in Action/Adventure, Fantasy Romance, Highland Romance, Highland Stories, Historical Romance, Medieval Romance, Novel Development, On Becoming a Writer and tagged Interview, Legend of the Fenian Warriors, Mary Morgan, Order of the Dragon Knights. Bookmark the permalink. My thanks to you. I’ll be approaching my character knowing some backstory which makes her vulnerable, her little secret she never admits, and what she must accomplish. I’m going to give her her head! Your story construction is fascinating, Mary. Thanks for sharing it today. I’m in awe of the preliminary work you do. (One of my heroines absolutely wouldn’t act with her original name. We had to experiment for a couple of chapters until she found one she liked 🙂 Love your books! And I can’t wait until the next one. Best of luck!! Your story construction is interesting and a lot like mine. I have a five page character worksheet that I complete before starting on my story including characteristics, physical attributes and what they desire and what is stopping them. Sometimes I get all the answers and others only a few. I never know exactly where the story is going until the characters tell me. Some surprise me, others are easy to work with, still others frustrate me as you know. Fun to read your process. Wishing you lots of success! Wonderful interview! I love that your characters appear to you in dreams. Looking forward to reading Dragon Knight’s Medallion! I always love learning more about other writers’ writing processes. Thanks, Barbara. I had one character where I changed her name three times during the writing process. 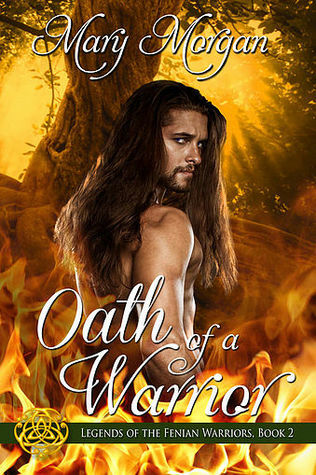 She finally settled on: Ivy Kathleen – QUEST OF A WARRIOR. Thanks, Tena. Impressive that you have a five page worksheet! Mine is not that extensive. 🙂 I start with a basic outline, and the character emerges from the shadows and takes over, lol! Mary, do you go back into your character profile to fill in the gaps once the story is finished and they have revealed themselves? Hi Mary! I loved reading about your writing process. It’s so different from mine! 🙂 It’s always interesting to me to see how other authors create their stories. I love your books and am looking forward to the next one! Definitely, Eileen. In truth, I’m always adding to the character profile when something new pops up. You should have seen my notes on Aidan Kerrigan, lol! I feared writing his story. What more could he say or have hidden, right? He made it easy for me, and I’ve included this in my “Note from the Author” in the forthcoming release. Great interview on how you develop your characters. Writers can learn a lot through your process. Good luck on your books! Cee, I think so, too. I’m so happy to share my journey to be a an author. Next month, I’m focusing on POV, Show Don’t Tell, and the all important first chapter. I hope you join us again! Wonderful interview Mary!! I love the part about dreams. Do you, like I do, get up and write them down or do you will remember them the next morning? I do enjoy stories where the author creates such characters that you feel you know them in real life. Great interview and sounds like a fascinating read. I do, too, Mason! Isn’t it great to be able to ‘live’ so many other lives, besides the body you physically have? Mary does a stunning job with this series, and frankly, I just can’t get enough. 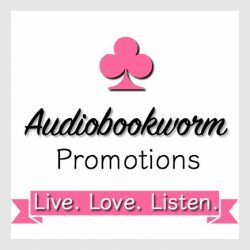 Have you tried her books in audio? If you’ve purchased the book on Amazon they’ll give you a deep discount on Audible.com for the same book. Her next release is in the summer, I believe. Thank you, Cee! 🙂 As I’ve stated, each writer is unique and must follow their own path. Often times, you’ll find someone similar to your style. It’s always an amazing journey. Oh, Lori, thank you! 🙂 I’m usually sad at the end of completing a story, especially after the final galley. When my first series, ORDER OF THE DRAGON KNIGHTS, ended, I went into mourning for months. These characters had lived with me for years. They still continue to haunt me and this is why I write my Highland Holiday Romances. Of course, a new order of Dragon Knights will continue with Jamie MacKay MacFhearguis–Adam and Meggie’s son from DRAGON KNIGHT’S RING. Thanks so much, Mason! I hope you get a chance to read my stories. I always enjoy hearing readers’ thoughts, too. I thoroughly enjoyed your intriguing post on developing characters. You mentioned your love of Celtic and Norse mythology; what is your favorite book? Thank you for your time, and Eileen, thank you for the wonderful interview! Thank you for dropping by. That is a good question for Mary. I’ll be eager to hear her reply.